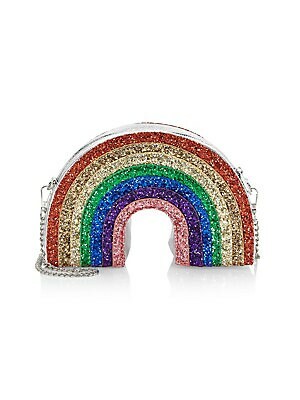 Add a playful edge with this rainbow fox fur headband. Satin-wrapped metal Fur type: Dyed fox Fur origin: China Dry clean by fur specialist Made in USA. Children's Wear - Infant Toys And Gifts. Bari Lynn. 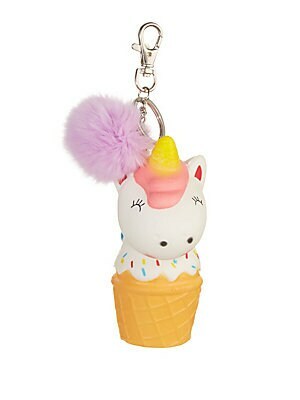 Adorable unicorn ice cream key chain accented with a plush fur pom-pom. Silvertone hardware Metal/plastic Fur type: Dyed rabbit Fur origin: China Dry clean by fur specialist Made in USA. Children's Wear - Infant Toys And Gifts. Bari Lynn. 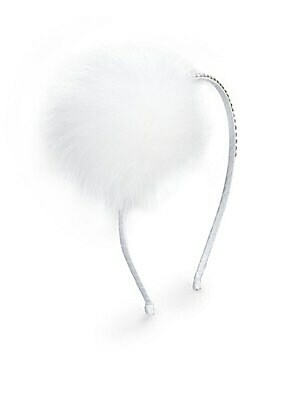 A fluffy fox fur pom-pom softens up this satin-wrapped headband with embellished trim for her. 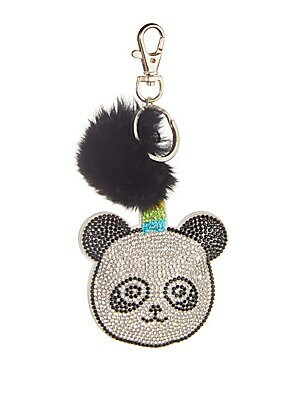 Satin-wrapped and embellished metal band Fur type: Dyed fox Fur origin: China Imported. Children's Wear - Infant Toys And Gifts. Bari Lynn. Color: White. A fluffy, furry pom-pom atop a slender headband Satin-wrapped band Beaded embellishment Fur pom-pom Fur type: Dyed fox Fur origin: China. Children's Wear - Infant Toys And Gifts. Bari Lynn. Color: Red. 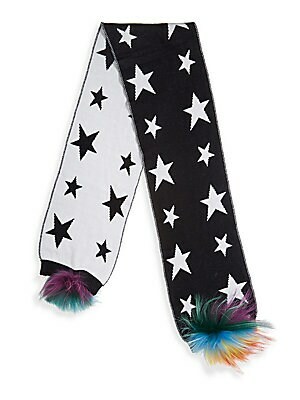 Allover start design scarf finished with fluffy fur trim. Acrylic Fur type: Dyed fox fur Fur origin: China Dry clean by fur specialist Made in USA. Children's Wear - Infant Toys And Gifts. Bari Lynn. Color: Black. 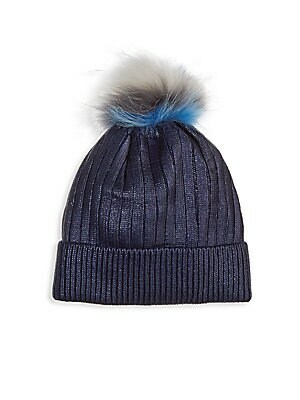 A plush dyed fox furpom-pom tops this rib-knit hat in a lovely metallic finish. Folded brim Acrylic Fur type: Dyed fox Fur origin: China Dry clean by fur specialist Made in USA. Children's Wear - Infant Toys And Gifts. Bari Lynn. Color: Navy. 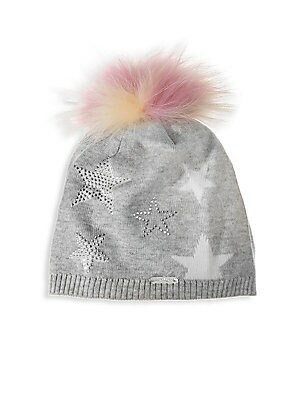 A plush fox fur pom-pom tops this crystal embellished star print knit hat. 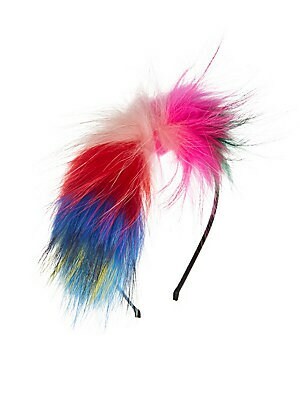 Ribbed trim Acrylic Fur type: Dyed fox Fur origin: China Spot clean Made in USA. Children's Wear - Infant Toys And Gifts. Bari Lynn. Color: Silver.